Who’s Using EMSEAL Expansion Joints? Yeah, we sealed that. EMSEAL has been leading the structural expansion joint market for years and our track record is the proof. Here are just a few of the structures into which our breakthrough fire, water, seismic, roof, parking, bridge below-grade, submersed, and acoustic expansion joint systems have been installed. What’s in your joints? 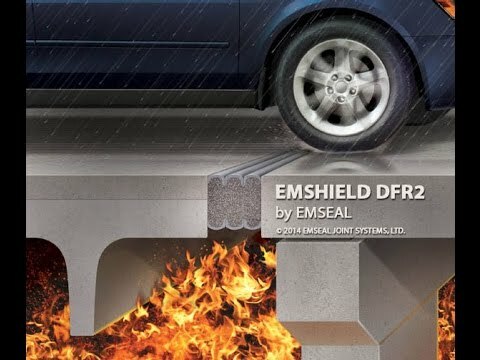 The EMSHIELD family of products from EMSEAL are breakthrough innovations that incorporate multiple joint filler functions into single product units. 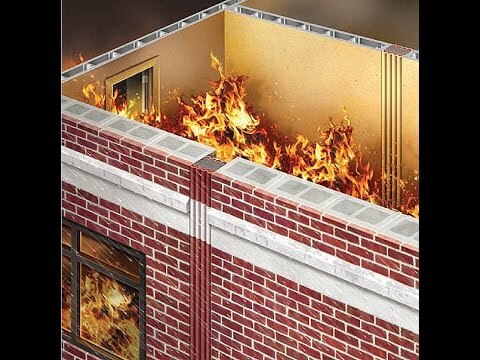 The first two models DFR2 (Deck, Fire-Rated, 2-hours) and WFR2 (Wall, Fire-Rated, 2 hours) are both watertight AND fire-rated and have been tested to the rigors of UL/ULC 2079. 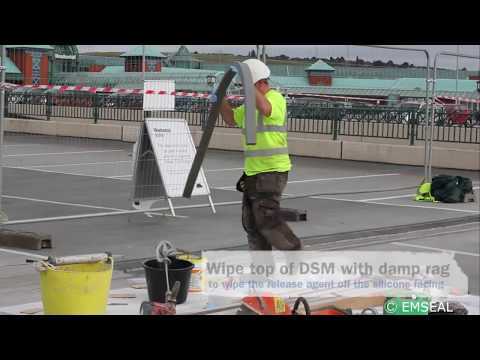 The test is similar for decks and walls as depicted in this video except that for decks the test does not have a hose-stream component. +50% and -50% (Total 100%) of nominal material size (see “Performance”). As is seen in this first-hand video, the DSM system is a simple installation that will yield a watertight trafficable seal within one hour under normal conditions. 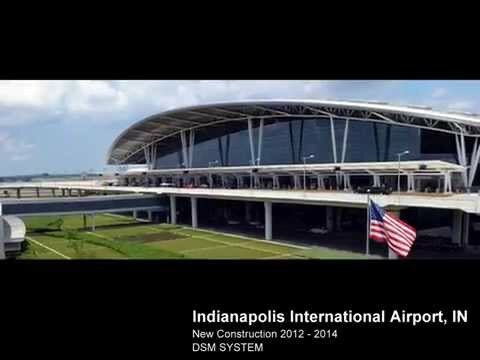 DSM has been installed in hundreds of locations throughout the world providing a continuity of seal in decks and vehicular /pedestrian traffic surfaces. 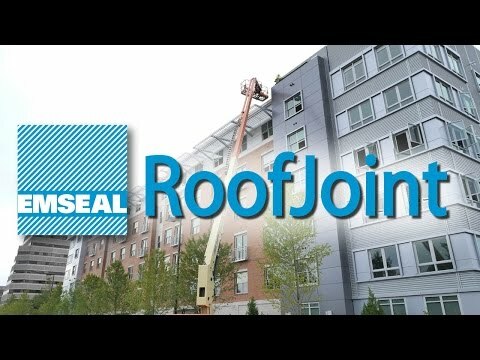 This video demonstrates the ease of installation of EMSEAL’s SJS SYSTEM using Custom-90-degree transitions pre-manufactured to field measurements provided by the installing contractor. This video does not cover in detail all of the installation steps for the system. Please consult your EMSEAL field technician and the complete installation instructions available on emseal.com). The installation depicted was executed at the New York Mets, Citi Field stadium where the SJS SYSTEM was the basis of design for all the seating bowl and concourse joints. In addition to CitiField, the SJS SYSTEM and SJS-FP SYSTEM have been installed on new construction projects at the New Yankees Stadium, the new Meadowlands (NY Jets/Giants) stadiums, the new Minnesota Twins stadium. 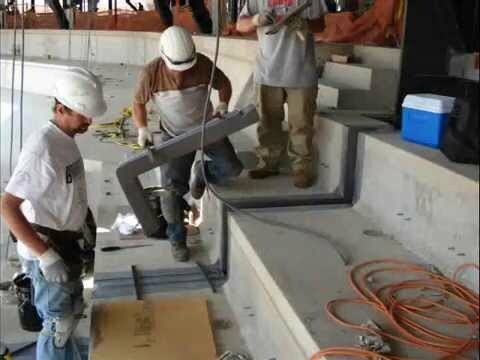 Installation of SJS System at the new construction at the NFL San Francisco 49’ers Levi Stadium. 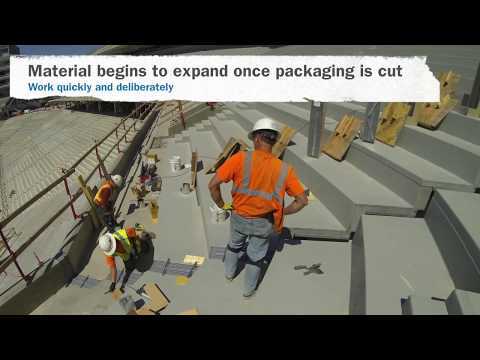 This video shows the installation in new construction of extremely wide treads and risers. The ease of installation is shown as well as the speed by which it is installed while always maintaining watertightness and trafficability. EMSEAL’s Continuity of Seal is maintained throughout the stadium’s installation. More information on the product can be found at the SJS System product information page. EMSEAL expansion joints are the product of choice in stadiums throughout the world. Initiative, Innovation, Immigration keys to EMSEAL export success commented Lester Hensley, EMSEAL CEO, on reception of the US Small Business Administration’s Massachusetts and New England Exporter of the Year award. 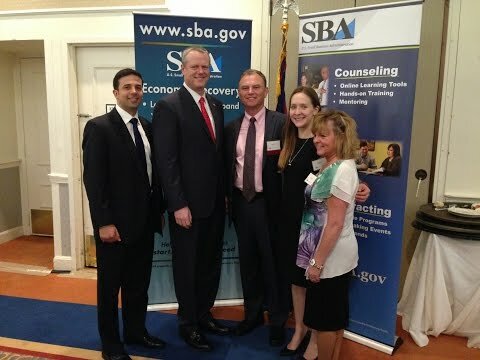 The ceremony on May 4th, 2015 kicked off the SBA’s annual Small Business Week and featured headline speaker Massachusetts Governor Charlie Baker. EMSEAL, a leading innovator and supplier of building expansion joints has established markets for it’s breakthrough line of multi-purpose structural expansion joints worldwide. Lester Hensley, CEO of EMSEAL Joint Systems presents an update of performance capabilities of the EMSHIELD line of fire and water resistance expansion joint systems for commercial construction applications. The presentation highlights the 100% of material size movement capabilities of these award-winning, patented materials. 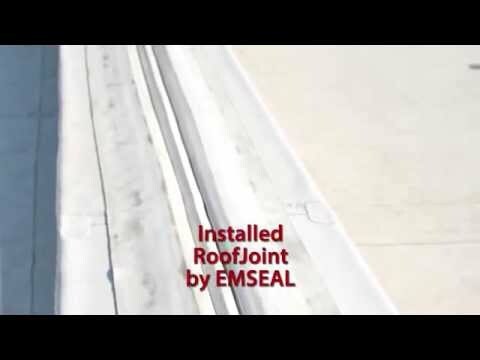 RoofJoint by EMSEAL is a roof expansion joint and roof-to-wall expansion joint that is a dual-seal, double-flanged, extruded thermoplastic rubber system for sealing expansion joints in roofs. It seals the both the roof surface and also the transition between the expansion joint in the roof and the expansion joint in walls. EMSEAL’s RoofJoint expansion joint is a dual-seal, double-flanged, extruded thermoplastic rubber system for sealing expansion joints in roofs. Watertightness through positive integration with the roofing membrane and a purpose-designed system for transitioning between the joint in the roof and joints in walls.